Crispy fried chicken wings are easy to make and you can serve them anytime. 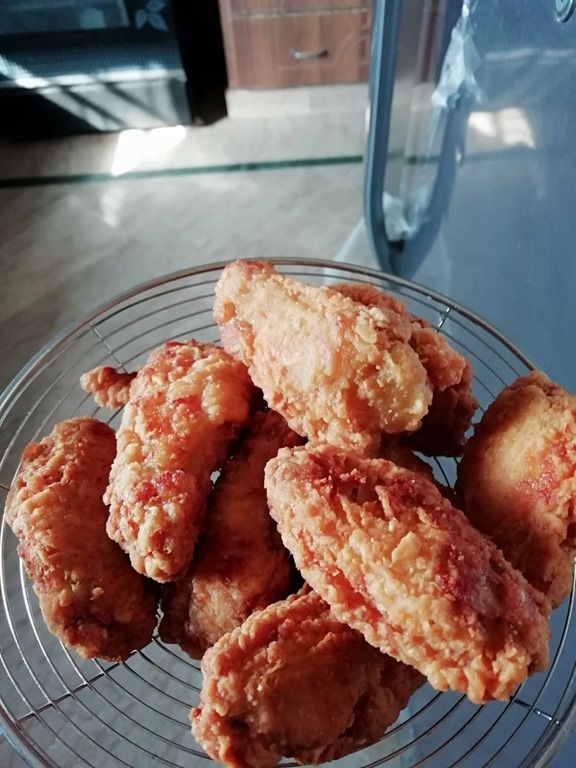 Kids love to eat them and these wings always finished in seconds. You can serve them with any sauce of your choice. I love them with mustard mayo dip. Rinse wings under cold water then pat dry with paper towels. Place wings on a baking sheet lined with a cooling rack then season wings on both sides with salt and pepper. Refrigerate for 1 hour. In a shallow bowl, stir together flour and spices then season with salt and pepper. Working one at a time, coat chicken in flour mixture. In a large pot over medium heat, heat 2” oil until shimmering (about 350°) Working in batches, fry chicken until deeply golden and cooked through, 8 minutes. Drain on a paper towel lined plate. Serve warm.